Residents here can get to enjoy a wide array of facilities available. You can have a picnic session in the park, stroll along Brook’s walk pathway, game of tennis, work out in the gym, have a leisure swim, bring your kids to the playground and have a gathering for at the clubhouse or have a BBQ session. There is also a covered car park and 24 hours security here. There is also a unique jet pool islands featuring family sized jet pools allowing you to enjoy resort styled living. Experience a new level of indulgences here with many of its fabulous facilities for you to recharge, rejuvenate and refresh you mind, body and soul. Here you can ease away the tiredness accumulated and seek inner serenity. 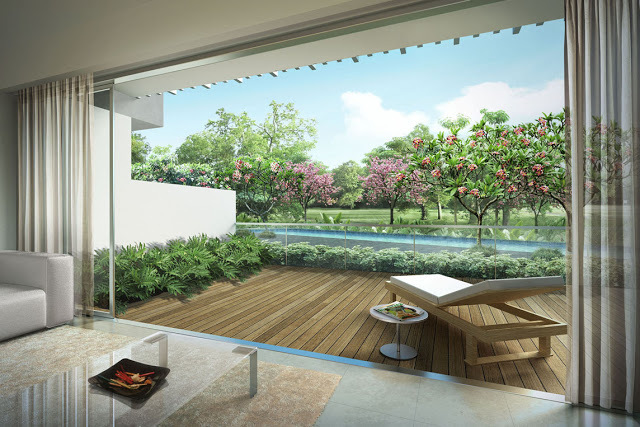 In a class of its own, Hundred Trees, it is favorably located within the proximity of major roads and public transport. It is located at 81, West Coast Drive Singapore 128001 in District 05. The nearest Mrt stations is Clementi Station which is 0.75km away. Other nearby Mrt stations are Jurong East and Dover stations. There are several bus services available here. Driving to Central Business District and Orchard Shopping District will only take you about under 15-20 minutes. Major expressways like AYE is seamlessly and conveniently connected to every part of Singapore making it so hassle free for you to travel to work or play. For daily necessities such as retail shops, supermarkets or banks, you can head down to the nearby IMM, Clementi Mall, West Coast Plaza, . For more dining options, you can head down to West Coast Way, Commonwealth and Clementi central. Nearby supermarkets include NTUC Fairprice supermarket at 181 West Coast Road, Cold Storage supermarket at Clementi Arcade and Sheng Siong Supermarket at Clementi Shopping Centre. 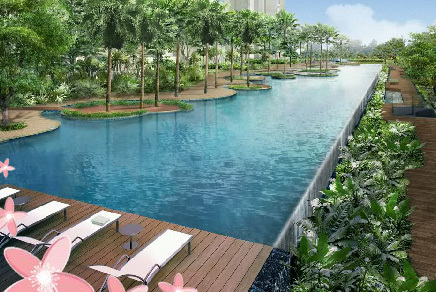 Other nearby recreational facilities includes West Coast Park, Labrador Park, Kent Ridge Park, Pandan Reservoir Park, West Coast Recreation Center, Jurong Country Club and Jurong Golf Course. The primary educational institutions around include Qifa Primary School, Clementi Primary school, Nan Hua Primary School, Pei Tong Primary School and Singapore Chinese Girls Primary School. The Secondary Schools in the neighborhood include Clementi Town secondary School, Tanglin Secondary School, Nan Hua High School, New Town Secondary School and Clementi Woods Secondary School. Tertiary Educational institution around are School of Science and Art Technology Singapore, National University Singapore and Duke NUS. For medical consult, you can head to the nearby General Practitioner Clinics, Jurong General Hospital, Jurong/ Clementi Polyclinic, Jurong Medical Centre and National University Hospital in the area to provide specialist healthcare services for the residents. Hundred Trees offers the best of Singapore’s West Coast area. It is a tranquil and prestigious place to live in with many amenities in the neighborhood.Take a retreat in the sensory abode with all your favorite indulgences in close proximity. Living here in this urban sanctuary reflects the ultimate dream that make any other possession secondary. Here you will be enveloped with enchanting beauty and feel completely recharged to take on your daily challenges.